miss out on that latest item again. PayPal, gift cards and store credit. DOWNLOAD ZALORA MOBILE APP AND ENJOY SHOPPING! Is it hard for you to shop online by searching the website on your gadgets? It must be and it can be very time consuming. However, if you are an avid ZALORA shopper, you no longer have to worry. ZALORA is now available for customers to access through their mobile phone. Go to your Google play store and download ZALORA mobile apps to enjoy your shopping experience everywhere you go. Whether you are walking to the nearest café, in the subway on your way to work or even on a public transport, you can easily browse through thousands of brands sold online in ZALORA with ease. The best part is if you are someone who loves purchasing items on a sales price, ZALORA mobile application offers a 20 percent discount and free shipping for you to enjoy. The twenty percent discount code is valid to customers who shop through the mobile apps and only last until midnight. So catch this promotion deal fast and enjoy shopping with ZALORA today! Brand exclusion applies. You can scroll our website on your smartphone, tablets or Ipads to get the best deals provided for online shoppers. By only syncing your ZALORA account from your desktop to your gadgets, you can easily log in with your account and pick up from you left. Not only it is time efficient but you can experience the same feel of shopping on the go. Each time you shop through ZALORA mobile app, you can key in the voucher code available and save a few bucks. SHOP THROUGH ZALORA MOBILE APPS WITH EASE TODAY! Do not waste the chance to use the voucher code offered and wait for other promotions deal as well. Any time you want to shop, the mobile app ZALORA is already there on your phone home screen. You can experience the same level of high resolution images and zoom in details as if you are shopping on your desktop. Swipe from one page to the next and click the ones which catch your fashion interest. 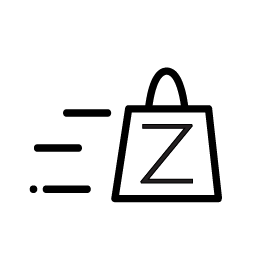 Hurry up and enjoy shopping with ZALORA mobile apps Malaysia online today!